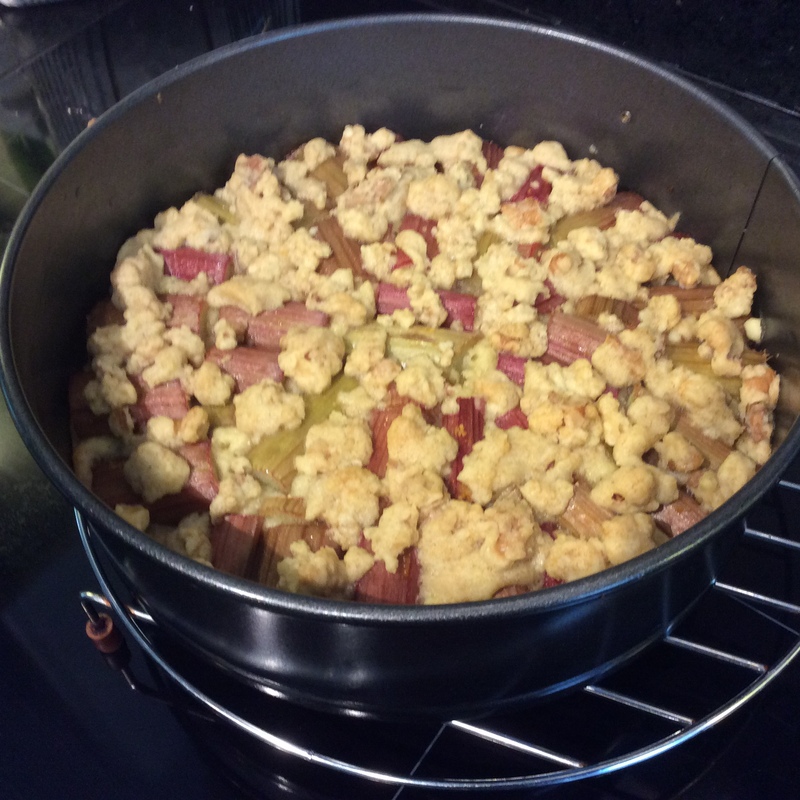 German classic Rhabarber Streusel Kuchen with some tweaks from the Brit. 1. Wash and cut the Rhubarb into 3cm sized pieces. In a bowl add the Rhubarb, orange zest, orange juice and sugar cover with cling film and leave to marinade for 30 minutes. 2. 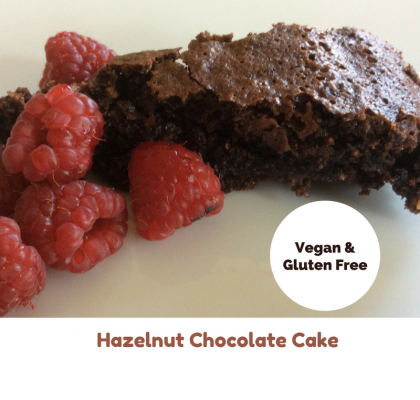 Use a 23cm round springform cake tin. Grease and line the base with baking paper. 3. 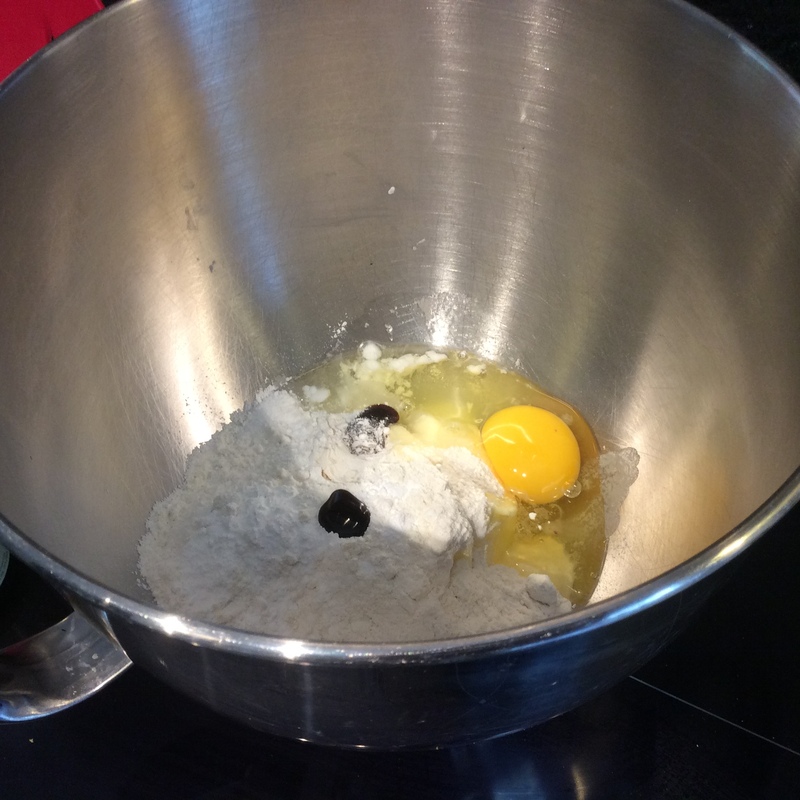 Add all of the cake ingredients into a bowl and mix until combined. Don't overwork as you will end up with a tough cake. 4. 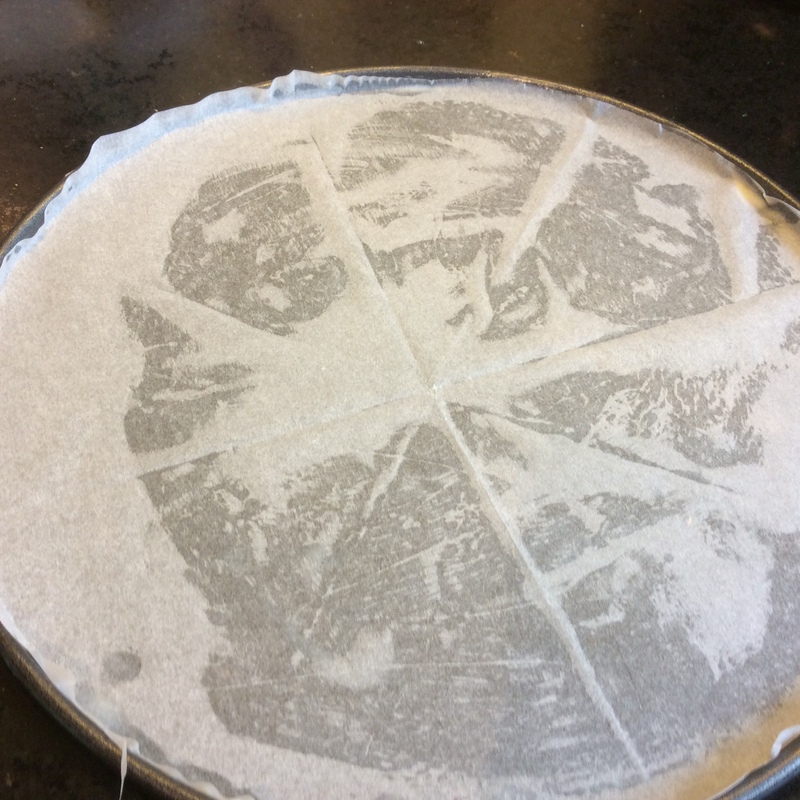 Line the cake tin evenly with the cake mix. It will only be a thin layer. 5. 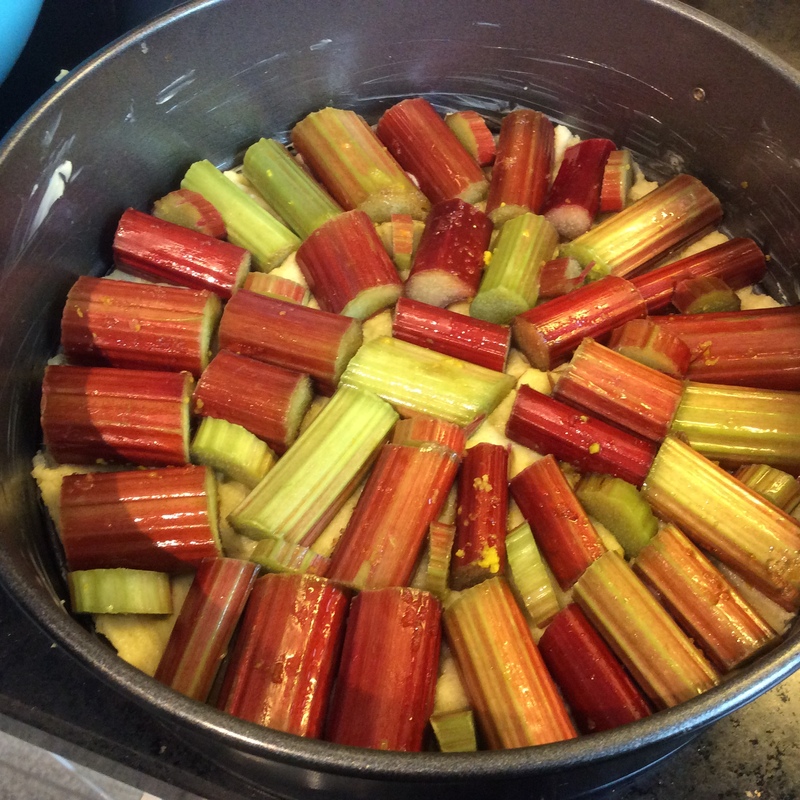 Once the Rhubarb has marinaded line the cake tin with it, leaving behind any of the juices. Fill in any gaps by chopping smaller pieces of Rhubarb. 6. Preheat the oven to Fan 160 degrees Centigrade. 7. 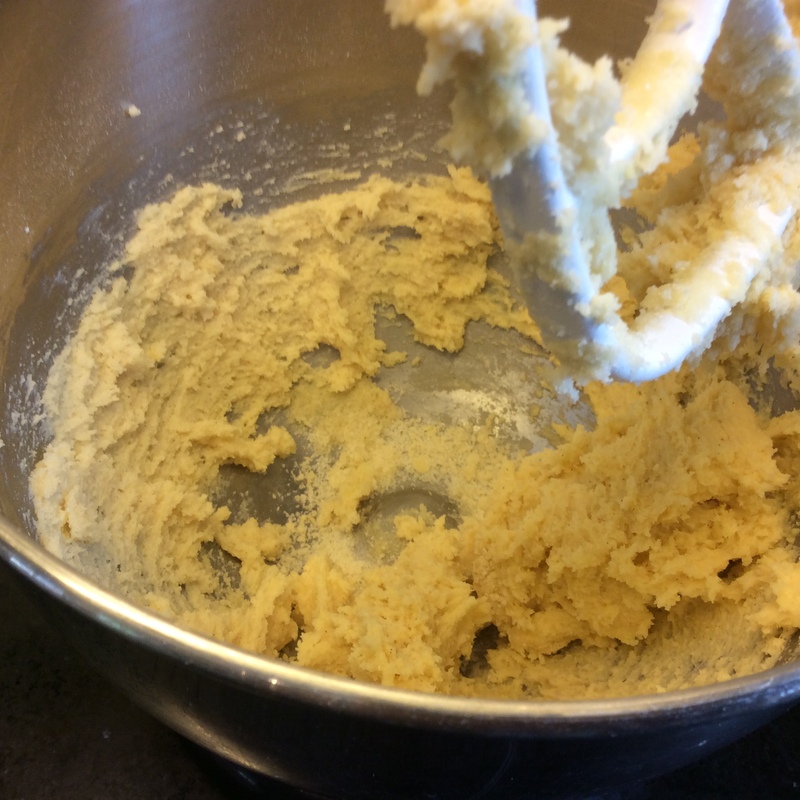 Make the crumble topping. 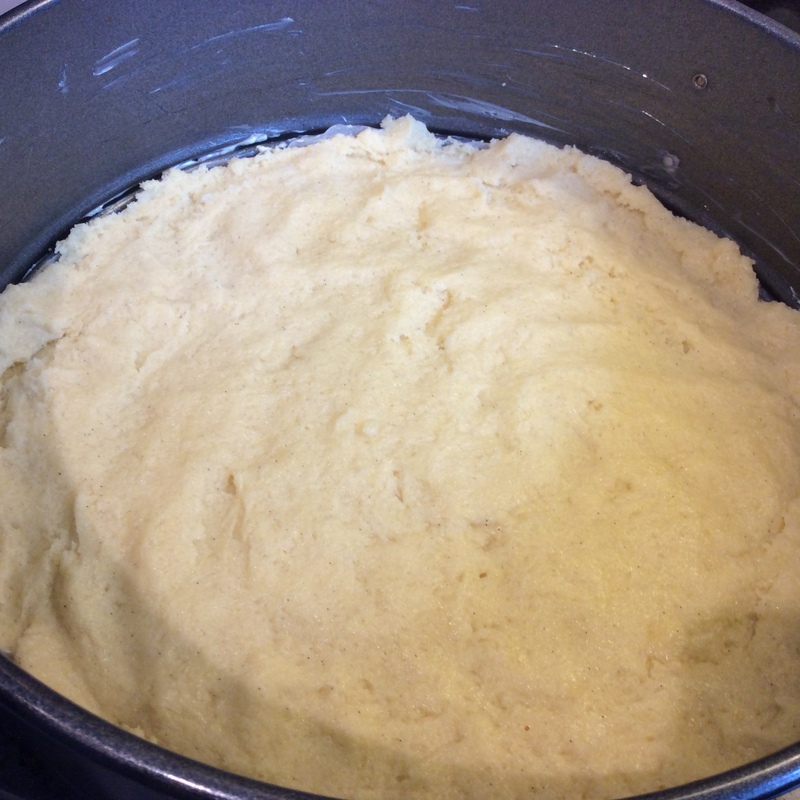 Start by gently rubbing together the flour and butter. 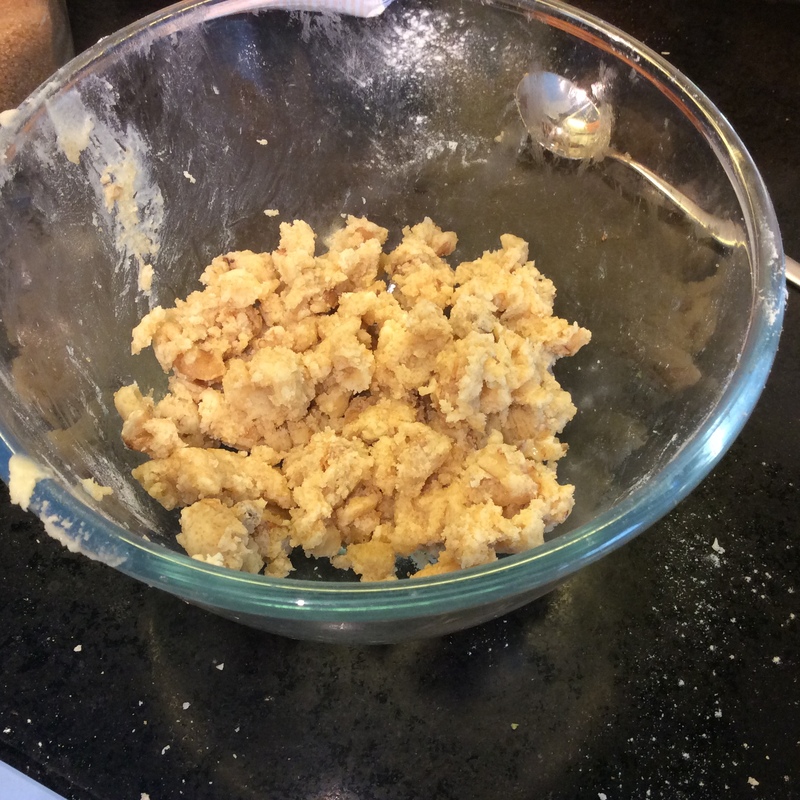 When it resenbles large breadcrumbs stir in the sugar and chopped walnuts and rub a little bit more to combine. 8. 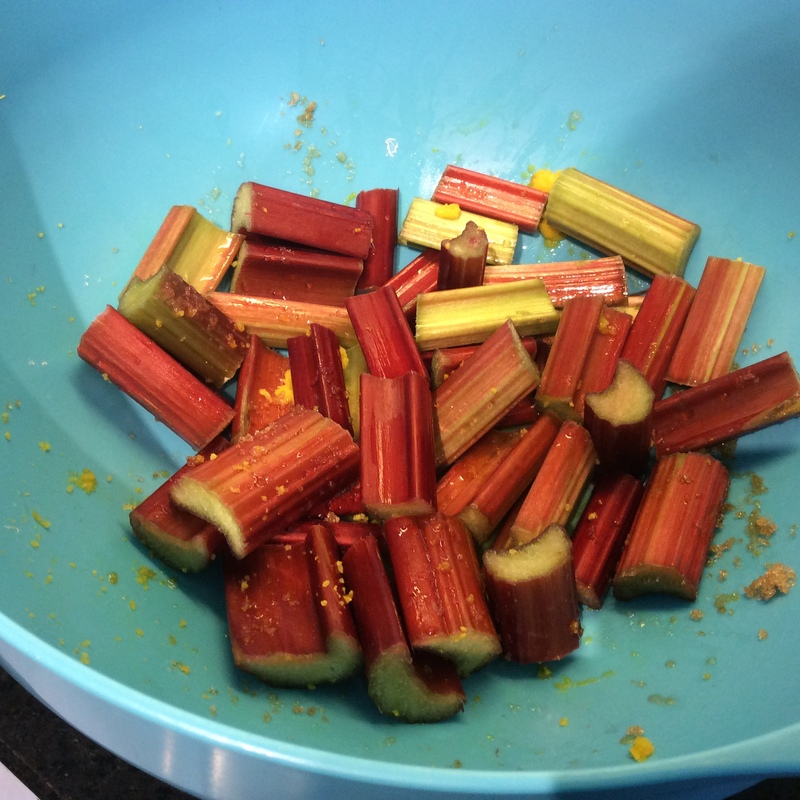 Sprinkle the Rhubarb with the crumble topping. 9. Bake for 35 to 40 minutes. 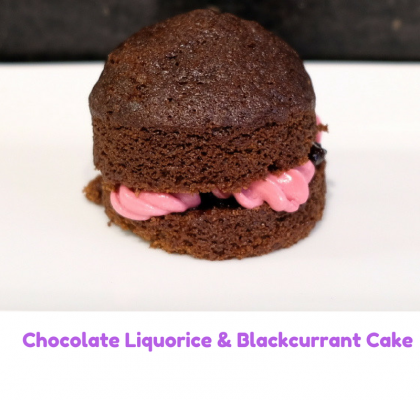 To check it is ready you will need to lightly press the centre of the cake if it springs back it is done. If it doesn't cook for a little bit longer and test again. 10. Leave to cool on a wire rack. To remove it from the tin stand the cake tin on a tin can, if it looks like the cake has stuck to the sides run a knife gently round the edge. Remove the sides of tin. To remove the base of the tin use two plates. 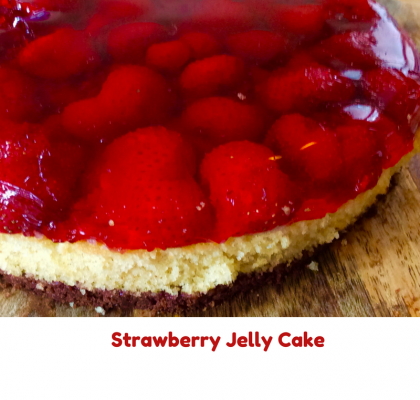 put one over the top of the cake and then flip it upside down. Remove the cake tin base and the greaseproof paper. Put the other plate over the base of the cake and flip the cake back the right way. All of my British friends will be surprised that I have described this Rhubarb Crumble cake as a German speciality but it really is. In the UK the most famous use for Rhubarb is Rhubarb Crumble and Rhubarb and Custard. In Germany there is a variety of different Rhubarb Cakes and Rhubarb juice is available all year round. 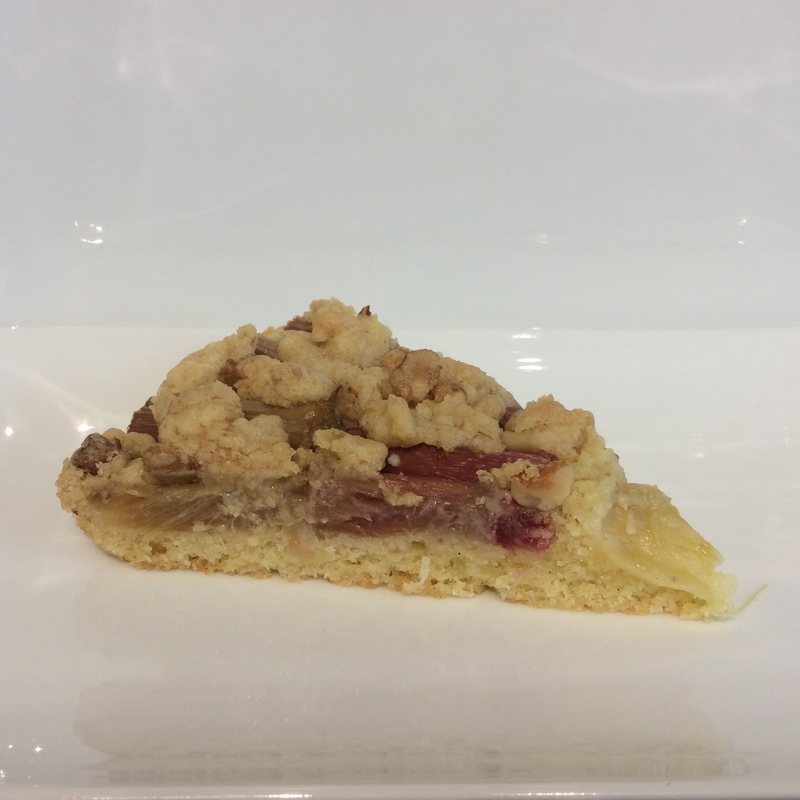 This Rhubarb Crumble Cake would be called a Rhabarber Streusel Kuchen. 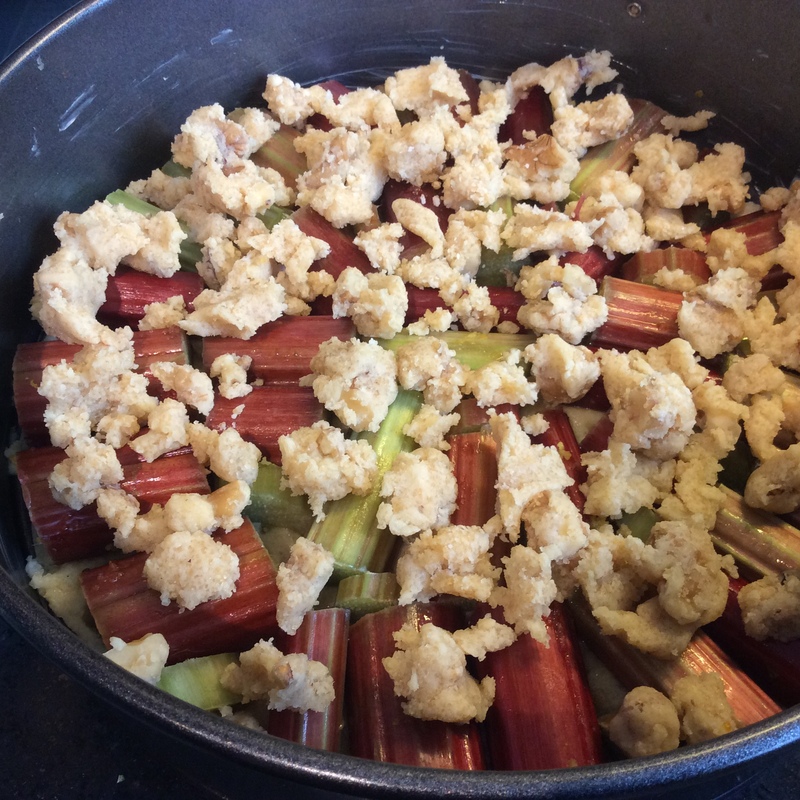 As I hardly ever stick to an original recipe I have tweaked the original german Recipe by marinading the Rhubarb in orange zest, juice and a little brown sugar before cooking and I have included some chopped walnuts in the Crumble / Streusel Topping. The sponge base in a German fruit cake is traditionally very thin as it is hard to support the weight of the fruit on a larger base. 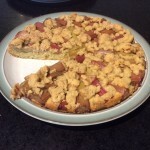 I like the combination of sweet sponge base, crunchy crumble topping and sharp Rhubarb taste. I hope you like it too. 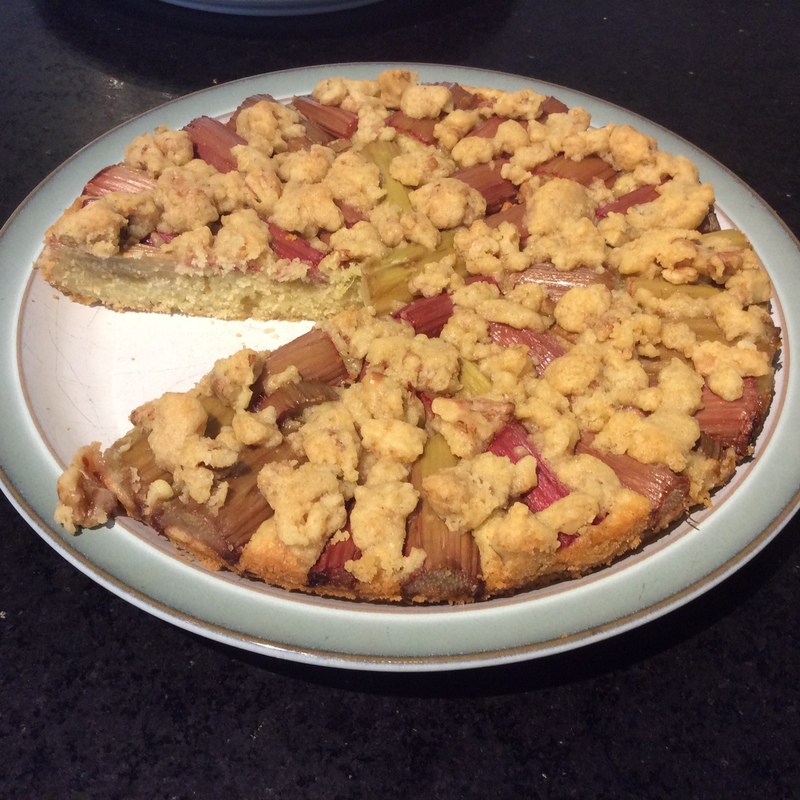 If you are a big fan of Rhubarb to check out my other recipes on the website.